Management Leadership Motivation is a step by step process for effective motivation. People are not motivated by your talking; they are motivated by your passion. In other to bring growth and success to your organization, business or company, you have got to be passionate about your vision, that passion will produce, confidence, trust and motivation among your employees. For you to make successful changes and achieve your goal, vision for your organization, business or company you have got to learn the effective steps to motivate your employees and keep them passionate. This post is designed to help you accomplish that. Leadership is measured by the degree at which you can influence others to a common goal, that’s the reason why the purest form of leadership is influence through inspiration. 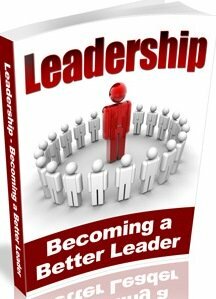 You have been given a leadership position, but it doesn't make you a leader, you have got to go through a process to become a leader. If you cannot inspire people, you will manipulate them, and when you manipulate people, you’re simply a dictator in a leadership position. Influencing people through inspiration is our focus. Motivation is the heart of leadership and you cannot truly lead people without motivation. 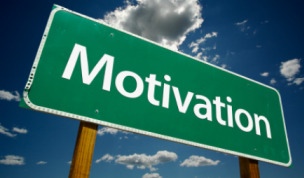 To become a leader in your organization, business or company, you must first be motivated, so you can motivate others. Your vision for your company, organization must be very clear and personal to you. This Motivation comes from your purpose and vision. When you discover who you are, why you were born and your potentials, it gives you a sense of confidence in yourself, that you can move the company to actualizing its goal, then your decisions, actions and plans becomes decisive. Passion is contagious; people are inspired when they see a leader that’s ready to die for what he believes in. When a leader personalizes his vision, it produces passion, that's transferred to his followers. A leader influences people through inspiration; inspiration is the purest form of leadership. When a leader is passionate about the vision of the organization, he influences people through your inspiration. Why you do what you do, and why they should join you. Your vision has to be broken down into goals in other to accomplish them. When your vision is broken down to achievable goals, people can easily join you. When a leader conveys his vision, His followers should see how their own purpose and vision finds fulfillment, they will become excited about participating. People don’t care what you think, until they know you care about them. You can like people without leading them, but you cannot effectively lead people without liking them. Motivation begins with your genuine love for people. Communication is the key in conveying your vision to your followers. A leader must ensure he builds his communication skills in other to motivate effectively. A leader must be ready to take the first step, he initiates the change. When you are willing to take the first step, your followers will be motivated to do the same. People are motivated when they see a leader that is ready to give up everything to fulfill the vision of the organization. People are inspired when they have a mentor to guide them through the process of change. It takes away fear and gives them confidence to act. Rewarding your team for their progress, will encourage them to do more and be motivated.They become motivated because they know they are recognized. Motivation is the most important force in leadership, not only because it motivates, but also because it protects you from the temptation of manipulating your employees. When you manipulate people you are not a leader but a dictator. If you want to see the people around you happy, then motivate them through your inspiration. It's important you carefully study every step in management leadership motivation.